did they lose their slot? They still have 3 players renaining, they can sign 2 na randoms that are free and play with them before disbanding. They'll play with their current roster only. Yeah, but in current roster they are hiko niko msl, they will add 2 randoms as I said and after the event optic will confirm msl and niko signings as Jugi is leaving and I think snappi is getting kicked too. They have 0 players remaining. They disbanded the roster. Literally more than 6 months ago. You should watch them now in StarSeries. This version is much more appealing and their spring of 2019 have been awesome. There is a reason why MSL & niko get amazing contracts in OpTic (probably gonna become the new core), why SicK is the replacement for n0thing in CompLexity and why Vice is on trial for the Zellsis/Flusha spot! Hiko is still the same! Rogue official Twitter said "they are releasing the csgo roster"
I was guess too but remind hltv news about that - The organization has withdrawn from the aforementioned league as well as ECS Season 7 Finals, for which the team qualified last week, with their last showing set to be in a week's time at StarSeries i-League Season 7, taking place in Shanghai, China, from March 30-April 7. Didn't MSL tweets that he leaves after starseries? 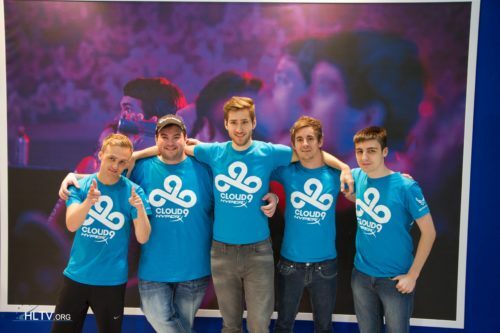 And it was mentioned in the article where Rogue org said they will Disband their cs team? This will be their last event and then disband. I think mibr are going to skip the event to practice. Pain could of also had problems getting to the tournament.